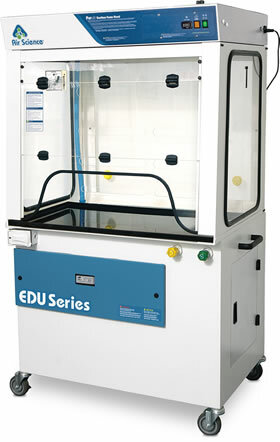 The EDU™ Series Ductless Demonstration Fume Hoods are designed for individual and group applications where clear front, side and rear walls permit 360° visibility. 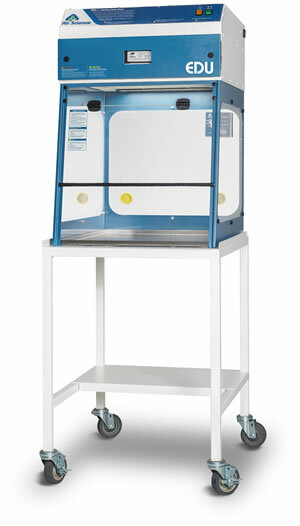 The high efficiency carbon filtration and air management system found in these fume hoods, or containment workstations, protects both the user and the classroom environment from hazardous vapors generated on and above the work surface. 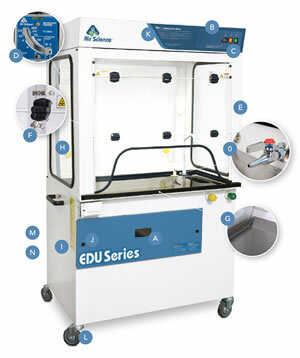 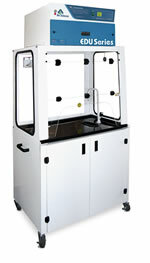 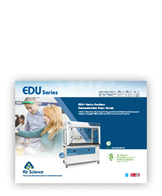 The EDU Series filtering fume hood units are mounted on heavy duty transfer carts and are sized to fit through standard doorways for easy transportation from lab to lab. 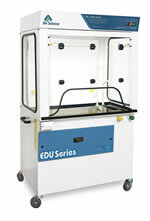 This makes them the perfect university fume hood or general classroom fume hood.